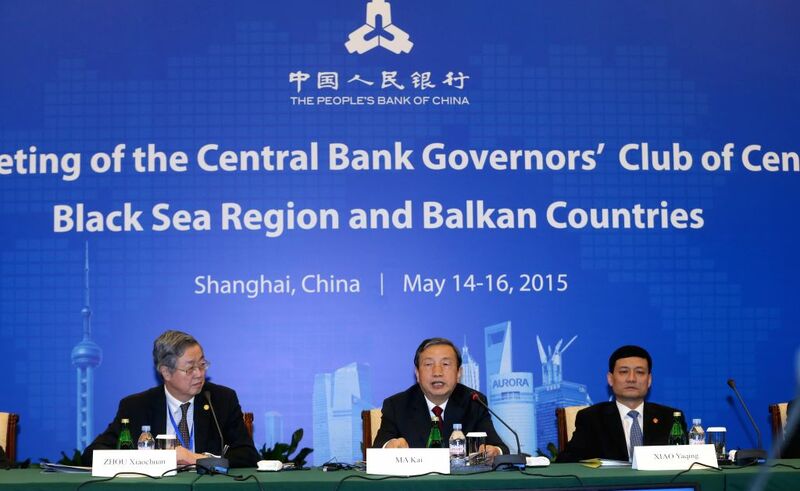 SHANGHAI, May 14, 2015 - Chinese Vice Premier Ma Kai (C) addresses the 33rd meeting of the Central Bank Governors' Club of Central Asia, Black Sea Region and Balkan Countries in Shanghai, east China, May 14, 2015. Founded in 1998, the club holds meetings of the central bank governors twice a year. It's the first time that China host the event with representatives from 24 countries taking part.